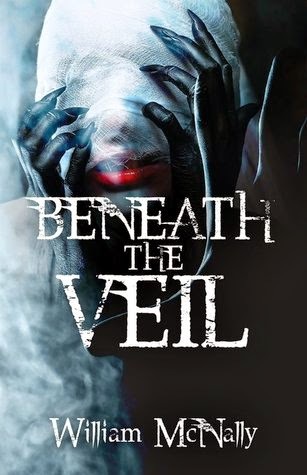 "Beneath the Veil" is a gripping novel with a unique blend of horror, supernatural, and sci-fi. The story follows Barry, a sculptor in search of a relative to give him a bone marrow transplant. His search takes him, as well as his adoptive sister and her boyfriend, to Auraria – a town inhabited by ghastly creatures. There, Barry discovers his horrific family history. William McNally eases the reader into the horror/supernatural elements of the story, allowing you to connect with the characters before things get intense. Yet at the same time, you get an eerie feeling that horrific things are on the horizon. The supernatural element feels fresh and adds an extra layer to the story. I would highly recommend this to anyone who enjoys a scary tale with a strong supernatural/sci-fi element.